The humble Trade Show offers organizations a wonderful opportunity to promote products and/or services, gather leads, develop fruitful partnerships, entertain clients and increase branding/exposure. 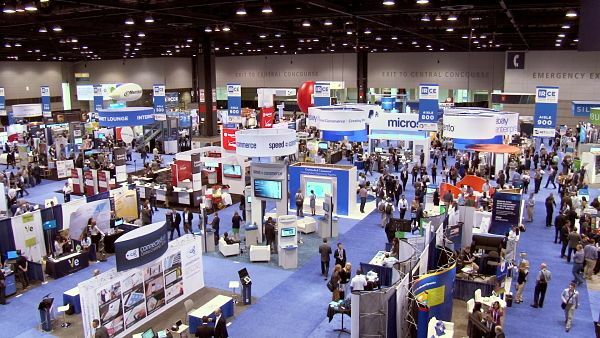 All this sounds wonderful, however, Trade Shows usually come at a high cost (booth rental, staff, travel, accommodation, materials, giveaways, entertainment….) and must be planned and executed properly to maximize ROI. Try to pick a booth that will have maximum exposure – close to entrance, main stage, beside coffee dock, lunch area etc. Make sure you get a copy of and study the booth floor plan carefully, avoiding large pillars and obstacles that may hinder your visibility where possible. At a busy show you have about 5 to 10 seconds to grab the attention of passing traffic. Make sure your booth walls have your logo, main keywords and products listed. Also, some visual aids and video demonstrations can be very effective in attracting the attention of potential prospects and partners. If the Trade Show is taking place in a hotel try to book accommodation in that same hotel. They may have preferential room rates for show attendees and you will be able to network afterhours in the hotel’s bars and restaurants. If the Trade Show takes place in a stand alone convention centre, try to book the closest possible hotel, this will likely become an after show focal point. It also allows staff time to return to their rooms to take calls in private if necessary. Make sure that the staff you send to represent your organization are not alone highly versed in your solutions, but are also highly personable and approachable by the public. There is nothing worse than seeing a booth person constantly looking down at their shoes or trying not to engage with potential customers. Make sure that staff wear branded clothing at all times showing off your organization’s logo and key message. Meet with your show staff and marketing team 6-8 weeks prior to the show start date. Make sure show staff are aware of the exhibition hours and logistics. Agree on promotional materials, swag and giveaways to bring. Study other exhibitors attending and try to arrange meetings with organizations that may be of benefit to your product or solution. If you have a speaking or presentation slot make sure that your slide deck is prepared according to the rules and regulations of the show organizers. Devise a promotional campaign announcing your organizations attendance through press release, email, blogs and social media, making sure that you use the show’s hashtag where possible. Try to arrive the day before the show officially opens to make sure your booth is well presented and all power points, lead capture and audio-visual equipment works. Make sure to have staff present for all exhibition floor opening hours. There is nothing worse than seeing an empty booth during a show, not to mention the wasted opportunity and cost to the organization. Use or hire lead capture scanners if offered by show organizers. This scanning equipment is very effective for a busy show and it is usually very easy to import the lead capture data into your backend system at the end of show. If you do not have a lead scanner always give a prospect your business card and ask for theirs in return. If the prospect states that they do not have any cards with them, ask them to write their contact details on the back of one of your cards. Attract prospects to your booth with swag or giveaway raffles that they must submit their business cards or details to enter the draw. Walk the floor during slow times (key note presentations, early mornings, class times….) to meet other exhibitors and see what the competition is offering. However, never leave your booth fully unattended and always have at least one staff member present. Make sure some staff attend the keynote address to learn what is new in your industry and what future opportunities your organization may be able to benefit from. Once the exhibition hall is closed for the evening make sure to attend the after show party or the hotel bar. These represent wonderful opportunities for networking and expanding your prospect and contact base, you can also use after show hours to bring important clients, prospects and partners to dinner. Follow up, follow up, follow up……….and then follow up. When the show is over and you are back in the office make sure that you contact each and every lead that was captured during the event. Allow attendees a couple of days to get back and caught up on their own pressing needs, then make sure to reach out with emails and calls to further on the conversation from the show. You can also schedule a webinar, inviting all leads to a demonstration of your product or solution. Make sure all leads are entered into your database or CRM system and tag them to the show for future reference and ability to measure ROI. 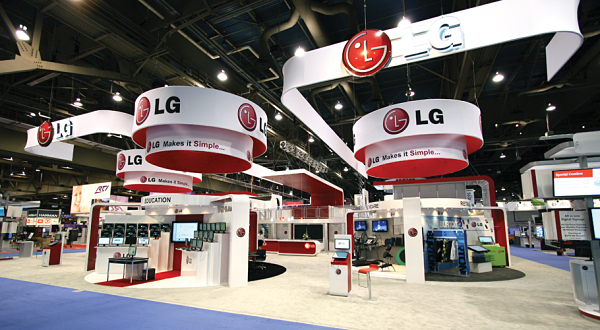 For help on how to get the most return on your Trade Show investment contact RML Marketing and Business Development Solutions today.